Colour Me Music Kids Parties Melbourne provides a unique blend of a professional musician and entertainer with a passion for bringing happiness and enjoyment to children with her repertoire of song, dance, costumes and party games. 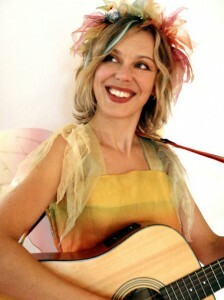 Anna Vietz is a trained musician, primary and preschool music teacher with a rare gift for interacting with children. Her ability to get young kids carried away by the spirit of music and entertainment is unsurpassed and her popularity amongst parents wanting an enjoyable kids party is well known throughout Melbourne and surrounding areas. Colour Me Music are also in demand for children’s concerts and musical entertainment events. The Testimonials from happy parents are an indication of the fun and excitement Anna brings to each and every one of her performances. Prices are very affordable and all enquiries and bookings may be made by contacting Anna on (03) 8060 8321 or (0407) 720 417. Moorabbin, South Wharf, Keysborough, St Kilda, Wonga Park, Elsternwick, Murrumbeena, Upwey, Mount Waverley, Chelsea, Moonee Vale, Burnley, Mount Dandenong, Clayton South, Lysterfield, Rowville, Mentone, Alphington, Mordialloc, Heatherton,Montrose, Noble Park, Upper Ferntree Gully, Oak Park,Bayswater, Ardeer, Seaford, Wantirna, Knoxfield, Macleod, Narre Warren East, Carrum, Highett, Ashburton, McKinnon, Brighton East, Boronia, Waverley Park, Abbotsford, Greenvale, Heathmont, Melbourne CBD, Carnegie, Toorak, Jolimont, Balwyn North, Mont Albert North, Fitzroy, Chelsea Heights, St Kilda West, Braeside, Glenroy, Aspendale Gardens, Clifton Hill, Northcote, Glen Waverley, Hawthorn, Park Orchards, Lalor, Ashwood, Richmond, Mitcham, Caulfield South, Mont Albert, Cranbourne, Upfield, Beaumaris, Rosanna, Lower Plenty, Glen Iris, Chadstone, Box Hill North, Camberwell, Tullamarine, Pascoe Vale South, Carlton North, Somerton, Broadmeadows, Doncaster East, Coburg, Middle Park, Cheltenham, Patterson Lakes, Malvern, Fairfield, Sunbury, Cheltenham, Bulleen, Glen Huntly, Bayswater North, Keilor,Bonbeach, Viewbank, Flemington, Balwyn, Mulgrave, Sandringham, Collingwood, Edithvale, St Helena, Dandenong, South Yarra, Lilydale, Kensington, Brunswick, Eaglemont, Port Melbourne, Nunawading, Melbourne Airport, Carlton, Preston, The Basin, Glen Iris, Doncaster, Vermont, Highett, Hampton, Box Hill South, Clarinda, Melbourne, East Melbourne, Kilsyth, Pascoe Vale, Fitzroy North, Armadale, Kooyong, Southbank, Bundoora, Thornbury, Derrimut, Templestowe Lower, Fawkner, Hunting, Oakleigh, Donvale, Hawthorn East, Caulfield, Prahran, Ivanhoe, Attwood, St Kilda East, Mill Park, Greensborough, Forest Hill, Deer Park, Gardenvale, Doreen, Berwick, Ormond, Dingley, South Melbourne, Calder Park, Eltham, South Morang, Surrey Hills, Docklands, Dandenong South, Blackburn, Lyndhurst, Roxburgh Park, Westmeadows, Kew, Malvern East, Hampton East, Thomastown, Heidelberg, Vermont South, Windsor, Croydon, Balaclava, Burwood, Bentleigh, Surrey Hills, Darebin, Epping, Hughesdale, Belgrave, Box Hill, Doveton, Ferntree Gully, Cairnlea, Scoresby, Reservoir, Templestowe, Eltham North, Bentleigh East, Hampton Park, Canterbury, Black Rock, Burwood East, Wheelers Hill, Elwood, North Melbourne, Albert Park, Parkville,Meadow Heights, Albion, Wantirna South, Brunswick West, Dingley Village, Ringwood, Montmorency, Mornington, Notting Hill, Diamond Creek, Kealba, Albanvale, Carrum Downs, West Melbourne,Aspendale, Delahey, Watsonia, South Yarra, Brighton, Springvale, Plenty, Parkdale, Hallam, Campbellfield & Gladstone Park.